Jacinta Dimase Management - Literary Agent: CONGRATULATIONS to Jane Jolly for winning an Honour Medal in the CBCA book awards for TEA AND SUGAR CHRISTMAS. 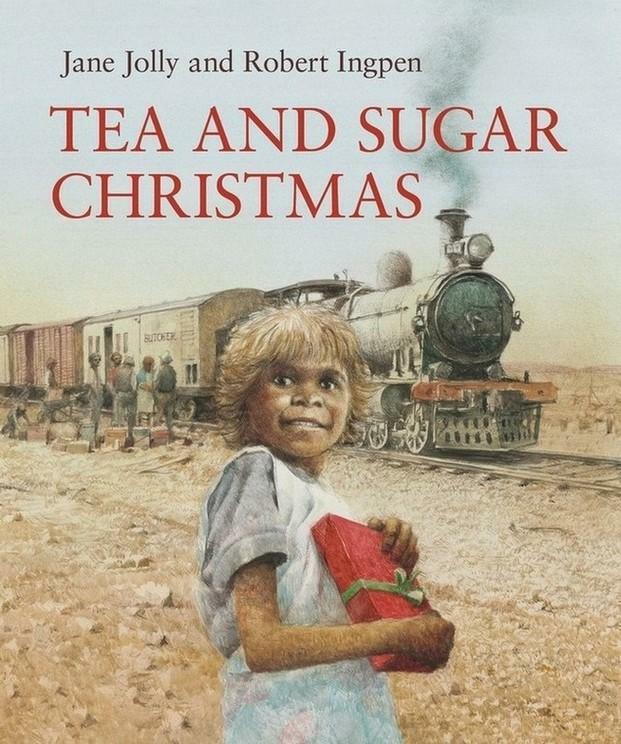 CONGRATULATIONS to Jane Jolly for winning an Honour Medal in the CBCA book awards for TEA AND SUGAR CHRISTMAS. The manuscript had been on my list since 2005 and because I loved the story so much and thought it had commercial potential, I kept trying to place it over the years (after many rejections) until we finally sent it to Susan Hall at the National Library. …For 81 years, from 1915 to 1996, the “Tea and Sugar Train” travelled from Port Augusta to Kalgoorlie once a week, servicing all the settlements along the Nullarbor Plain, a 1050 mile long rail link. It carried household goods, groceries, fruit and vegetables, a butcher’s van, banking facilities and at one time even had a theatrette car for showing films. In the late 1970’s medical services were included…. On the first Thursday of December every year, Santa would travel the line, distributing gifts to all the children on the way. I think I almost lost my mind when Susan said yes and that she had shown the manuscript to Robert Ingpen and that he had agreed to illustrate it. I could hardly contain myself when we all met in Melbourne to discuss the book’s format and to marvel over some of Robert’s rough sketches. When I asked Robert to sign our Ingpen illustrated classics: Wind in the Willows, The Jungle Book, and my favourite Alice in Wonderland he told me how he had used Keith Richards as inspiration for The Mad Hatter! Since it was first published in November 2012 Tea and Sugar Christmas has been reprinted three times, won an ABIA for best picture book, and now the prestigious CBCA Book of the Year Awards Honour Medal (Eve Pownall Award), but best of all the wonderful story is being shared by children and their families across Australia.